Only a year ago, Fasika Abera was nowhere near tech. Fasika was born in Addis Ababa, Ethiopia. She studied civil engineering at Wolkite University, about 160 kilometers from Addis Ababa, for just over a year, but found that she did not care for it. When she entered the Diversity Visa Lottery, seeking to live and work in the United States, it was practically a whim—Fasika had no idea what she would do in the USA. In March 2016, Fasika—a new Green Card holder—moved to the Bay Area. Her relocation to a hub of the tech industry was purely coincidental. Fasika had no plans to work in tech. In fact, she had had relatively little contact with computers before coming to the United States. In Fasika’s computer classes in Ethiopia, resources had been limited. A single computer was generally shared among a large group of students; one student would type, while the others watched. The Bay Area was a different matter. Fasika was looking for job opportunities in her neighborhood, when she was directed to the Vietnamese Youth Development Center (VYDC). In collaboration with Oakland’s Hack the Hood, VYDC was offering a free, six-week web development boot camp. 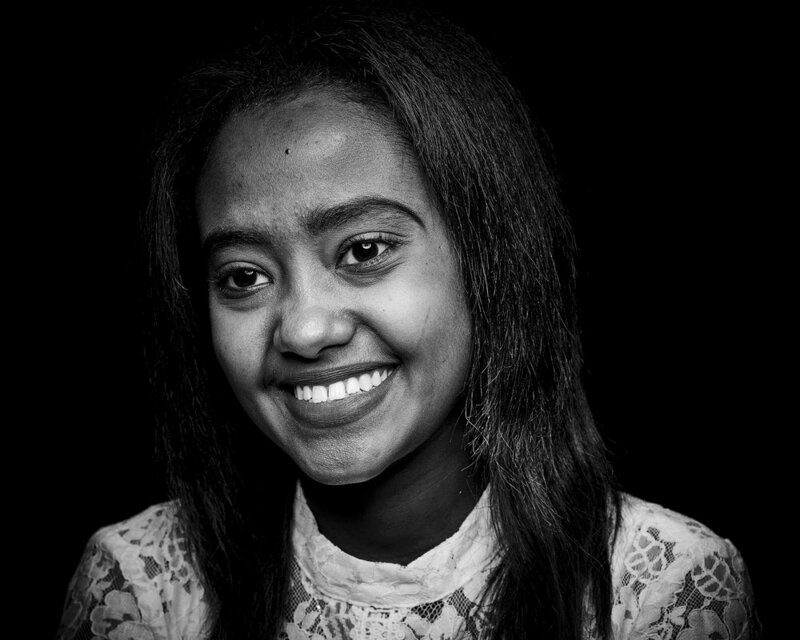 There, Fasika discovered—in her words—her “passion” for tech. At VYDC’s boot camp, Fasika learned to create websites using Weebly, a drag-and-drop website builder. But she wanted to know what lay behind the tool—the code—so, after completing her first boot camp, she moved on to another, Code Ramp. Fasika’s skill and determination at Code Ramp helped her secure a scholarship for yet another boot camp, Reactor Prep. With the support of her communities in Ethiopia and the USA, then, Fasika presses onward. She’d like to return to college someday—this time, to study computer science.